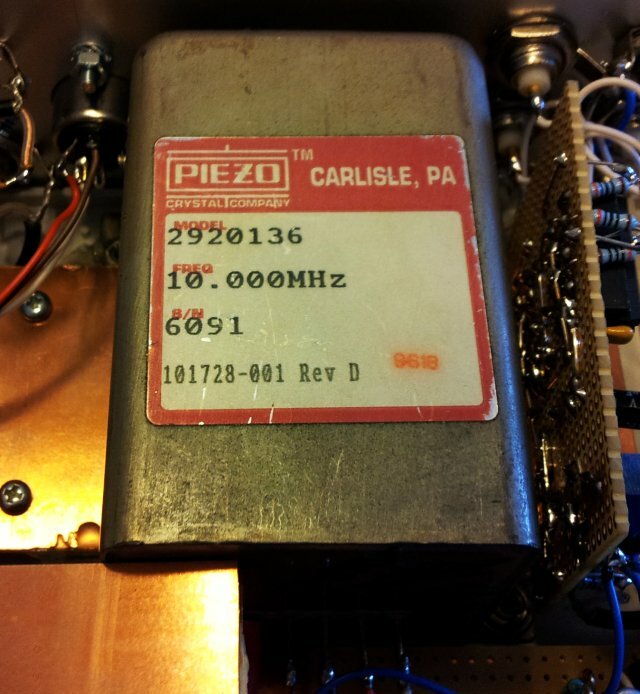 Some folks were asking about the accuracy of the DCF77 10 MHz standard described earlier, DCF77 10 MHz – which has an Piezo brand OCXO, steered by a long-time-constant PLL locked to the DCF77 77.5 kHz carrier. But, how to assess the short and long term stability of such a ‘standard’ in practical terms? Well, short term accuracy – it will simply be that of the Piezo OCXO, and some noise injected by the power supply. 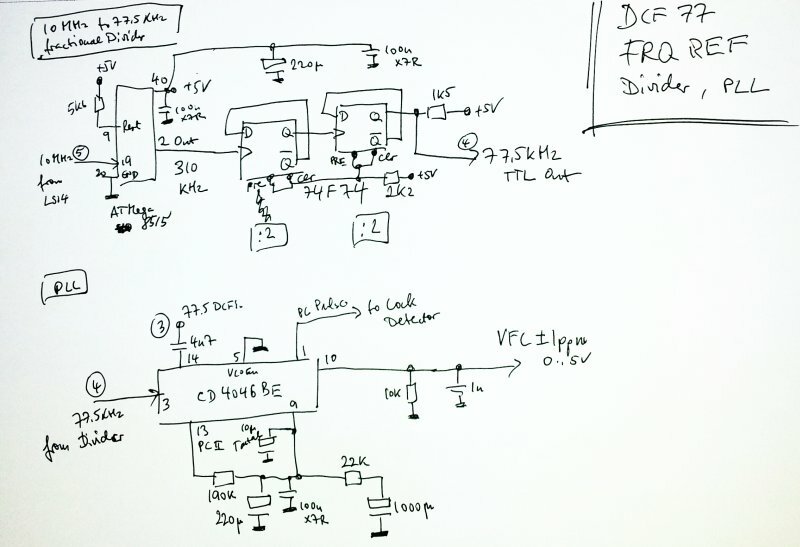 Mid- and long term, the drift will be determined by the DCF77 master clock (which is dead accurate), and the propagation conditions of the long wave signal (which is by far worse). 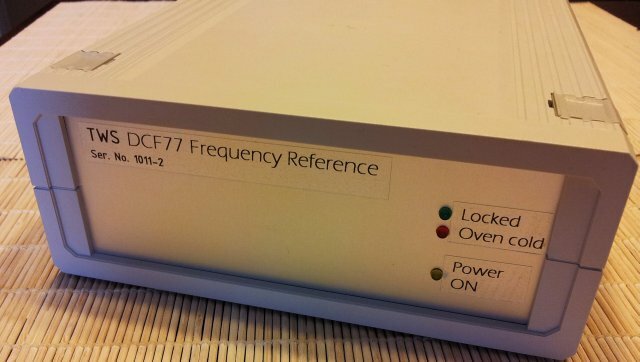 With my location at Ludwigshafen, Germany, I’m reasonably close to the DCF77 transmitter – maybe 70 miles? So there is hope that the transmission induced effects are not all that bad. 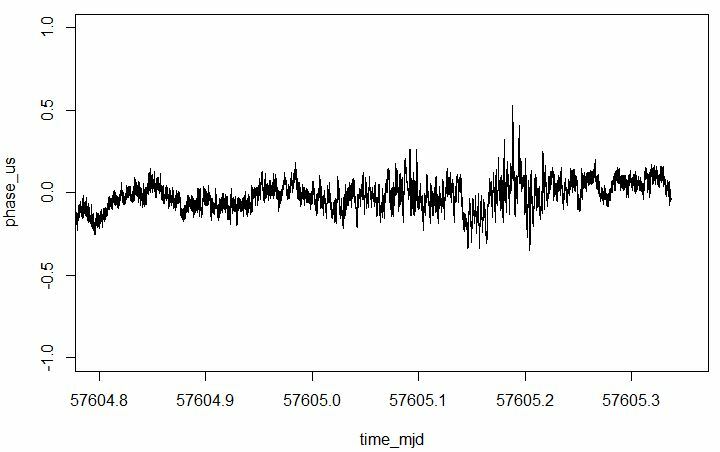 To measure the mid and long term stability, see below two plots of the DCF77-locked phase of the Piezo OCXO, vs. the instantaneous phase of GPS, stable to 40 ns or better, and obtained from a Motorola M12+ timing receiver. 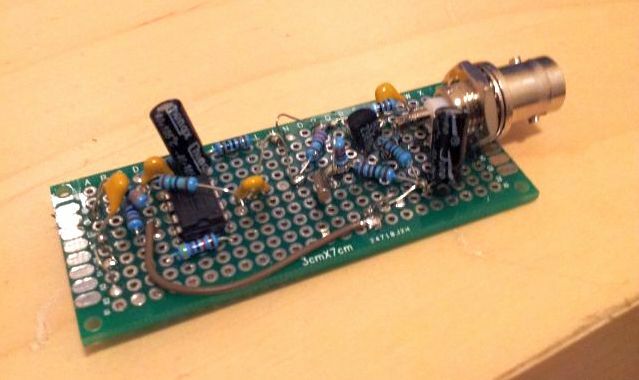 Measurements were done by measuring the time interval from the GPS 1 PPS signal, to the rising edge of a 10 kHz signal – derived from the 10 MHz OCXO by a good divider (using a ADF41020 REF input – R divider routed to MUX output) by HP 5335A counter. 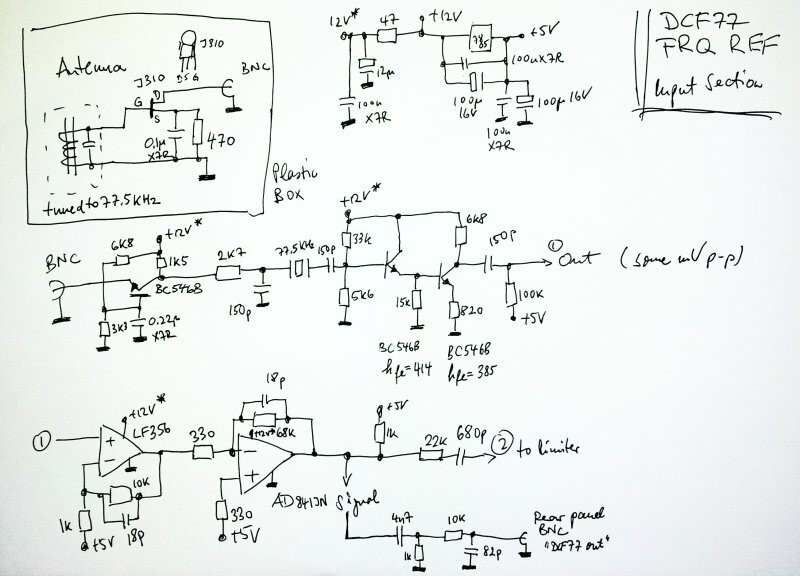 In short – DCF77 is tracking GPS extremely well, and the OCXO phase is stable to within a few 10 to 100 ns. In practical terms, 1 second of observation time would be well enough to calibrate any frequency standard to 1 ppm or better, by comparison with the DCF77 locked OCXO. In other words, the DCF77 locked OCXO instability appears to be dominated by the propagation of the DCF77 signal more then anything else. 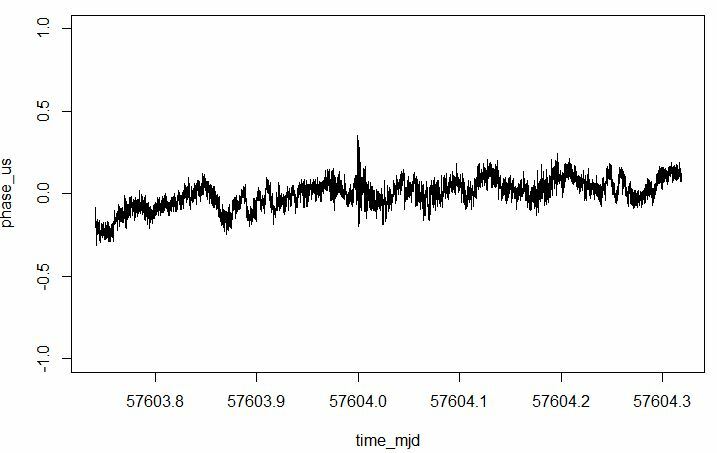 DCF77 – Tell me, how far do these waves travel? For those of you who don’t know, Germany has a time signal and frequency standard station, a 77.5 kHz carrier, emitted at a place near Frankfurt. About 50 kW of power – enough to provide most of Western Europe with perfectly accurate time. Radio controlled clocks have become the de-facto standard, in most of these places, and are available for a few Euros, amazingly cheap. While this is all common knowledge, it was definitely news to me that this signal can be picked up in the US, at least at the East Coast – New York area, where I currently reside. 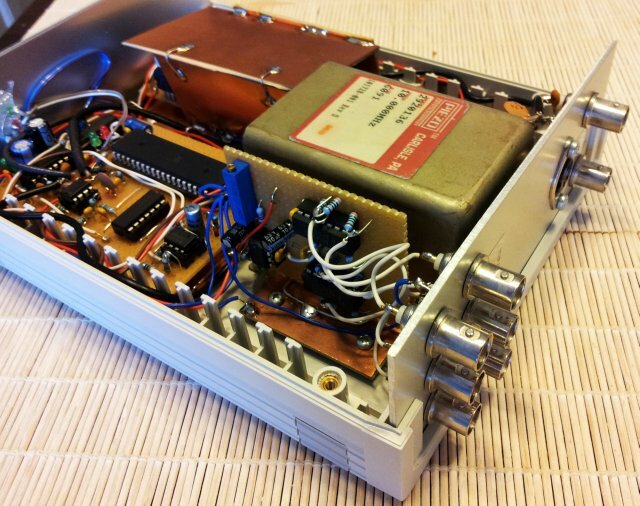 These news came from a very much trustworthy fellow German, just a few miles away – he carried a radio controlled alarm clock over from Germany. And one day it started receiving a signal, and set itself back to German time. Definitely, time for some experimentation. (1) A well-tuned ferrite antenna (same as is used in alarm clocks), with a little J-FET preamp. 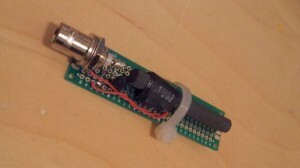 Additionally, a long wire (about 10 m/30 ft), connected to the hot end of the tuned circuit. (2) A long coaxial cable to get the antenna out of near field interferences. 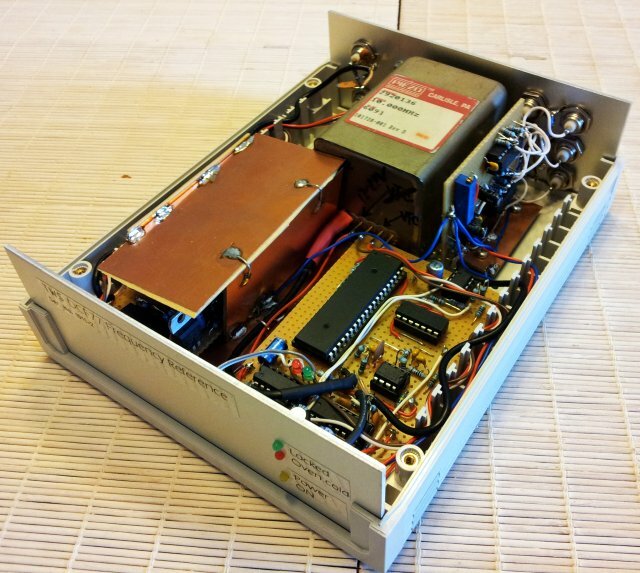 (3) A xtal filter and amplifier/driver – to provide adequate signal levels. 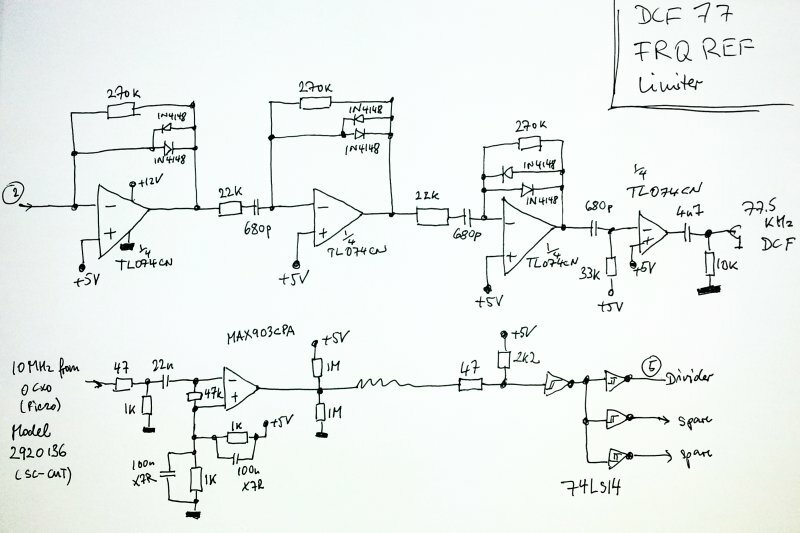 (4) Monitoring of the signal, via PC soundcard, and Spectrum Lab software. So far, not a trace of the 77.5 kHz carrier has been received, even using a most sensitive HPAK 3585A spectrum analyzer – maybe, I just need to wait for better propagation conditions, to get these long waves over the ocean.